It is estimated that the amount of vehicle tax collected has fallen by £200m in the six months after getting rid of paper disks a report has shown. Figures gained from the DVLA by the Financial Times show that between October 2014 and March 2015 £2.7bn had been collected in the six months after the online system came into effect. Which is 223m lower than the same period a year before. The National Audit Office said “The change had likely caused an initial increase in non-payment”. But it added that “overall non-compliance remains very low”. A spokesman from the AA said “It’s not surprising payments have fallen and ironically the change was supposed to save money. 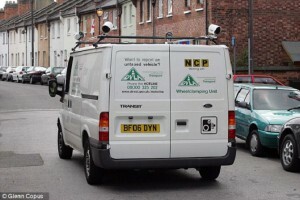 DVLA chief executive Oliver Morley said “Almost 99% of all vehicles on the road were taxed”. “We write to every registered vehicle keeper in the UK to remind them when their tax is due and we have introduced a range of measures to make vehicle tax easy to pay, such as direct debit or online. ← The AA has published the very 1st version of the Highway Code dedicated to cyclists.